Calculating the load capacity of shelving is vital before you begin placing any heavy objects onto the shelves. If you overestimate how much the shelves can bear, your stored items may break the shelves and fall to the ground. The primary determinant of a shelf's capacity is the brackets used to hold the shelves in place. While each bracket has its own rated capacity, the actual capacity is less due to inconsistencies in the shelving material and mounting hardware. Examine the brackets beneath the shelf to determine their manufacturer and model. The manufacturer should be listed on the body of the bracket, along with the model. If the model is not listed, take a picture of the brackets and look for a matching bracket at a hardware store or on the manufacturer's website. Write down the maximum capacity rating for the bracket provided by the manufacturer. Divide the maximum capacity by four to calculate the safe load capacity of the bracket. This should make allowances for the mounting hardware used to secure the bracket in place, as well as the material that was used to construct the shelf. Your actual shelf may be capable of higher loads, depending on these other factors, but you should remain under the safe load. For a bracket rated at 250 lbs. the safe load will be 62.5 lbs. for that bracket. Count the number of brackets used to support the shelf that you're rating. Multiply the number of brackets by the safe load of the bracket to determine the safe load capacity for the entire shelf. For a shelf that has three brackets rated for 250 lbs. 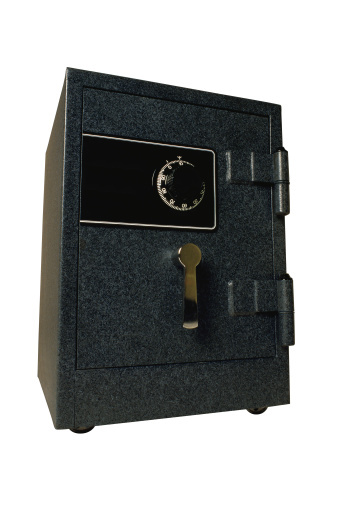 the safe load for the brackets is 62.5 lbs., and the capacity for the shelf, as a whole, would be 187.5 lbs. This load includes the weight of the shelf itself. What Is the Screw Size for a Panasonic TH-42PX80U Wall Mount?